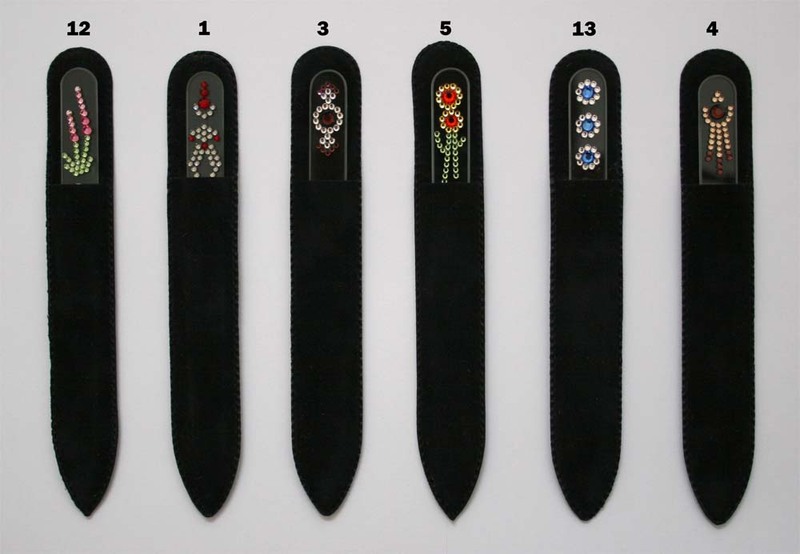 Clear crystal nail files with unique designs made of Swarovski crystals, supplied in black velvet pouch. 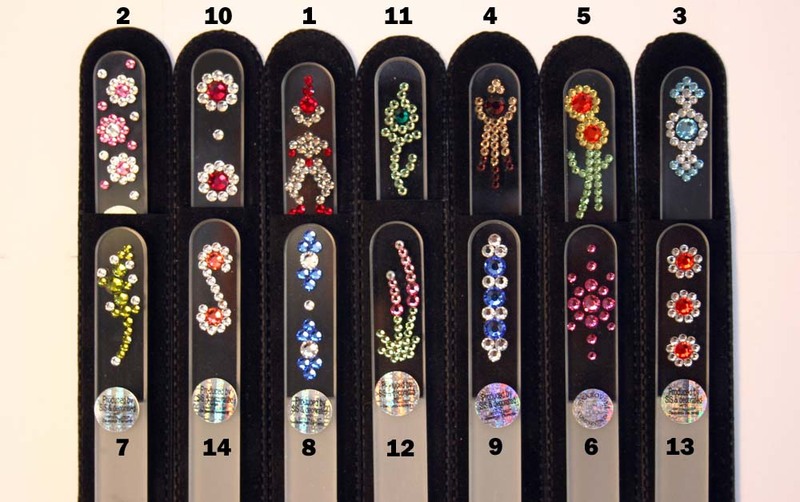 These Swarovski crystal nail files are available only on 135mm / 5.31 inches length. 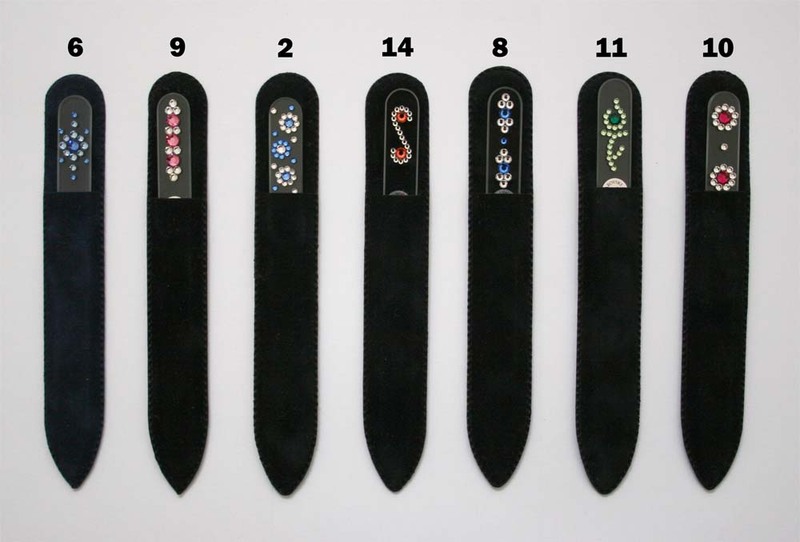 Limited Edition is a category of high end crystal nail files jeweled with Swarovski crystals. Perfect as gift, that is also a personal nail care tool. They are great for high end boutiques, SPAs, hotels and pharmacies and other businesses which want to create a greater variety of products suitable as gifts in their shop. These crystal nail files are our top end Swarovski nail files; these designs include the largest amount of crystals used on a nail file, and the most refined. We call it Limited Edition mostly because we want to show the difference between these crystal nail files and other files decorated with Swarovski crystals, like Luxury designs or Simple designs. All of them have Swarovski crystals in decoration, but they require less hand work and it what makes them cost less and suit more places to sell them. Visit Luxury designs or Simple designs pages to see photos and read more information. Where and how to buy? If you interested in reselling them please contact us to get a quote, to buy these Swarovski crystal nail file for yourself visit our e-shop. If you interested in clear and color crystal glass nail files, please follow the link.